While it can be tempting to keep your guns close for immediate usage if the need arises, this is unfortunately not the best way to keep you firearms in great shape. Rust, dust and corrosion are the bane of any gun owner’s existence, and they can seriously ruin your day if you’re not careful. In this article, we’ll be talking about how to properly store your guns to keep them in top condition. We’ll also discuss the best gun oil for storage and protection of your guns. Follow these tips and you’ll be able to pass your favorite pieces down to your grand kids and beyond. Maintenance is an important part of gun ownership and not doing it can not only ruin your guns but it can also be dangerous. Not cleaning and conditioning your guns after using them can lead to irreparable damage to the inner workings of the weapon. This isn’t something that you want to mess around with. Especially if you, like most people, have guns around for self-defense purposes. You don’t want your weapon to let you down in the heat of the moment because you didn’t properly care for it. Poor gun cleaning practices can impact any gun regardless of how often it’s used. However, adopting proper procedures, including using a great gun oil to protect your guns can keep them in great working order and looking beautiful for years to come. What’s the difference between gun oil and gun grease? Oils are typically lighter and more convenient for usage. They’re easy to get into all the nooks and crannies of your gun and keep everything running smoothly. However, a grease is longer lasting and it holds up under extreme temperatures and conditions. Best gun oil for storage – both long term and short term. Our number one product for long term gun storage is EEZOX. 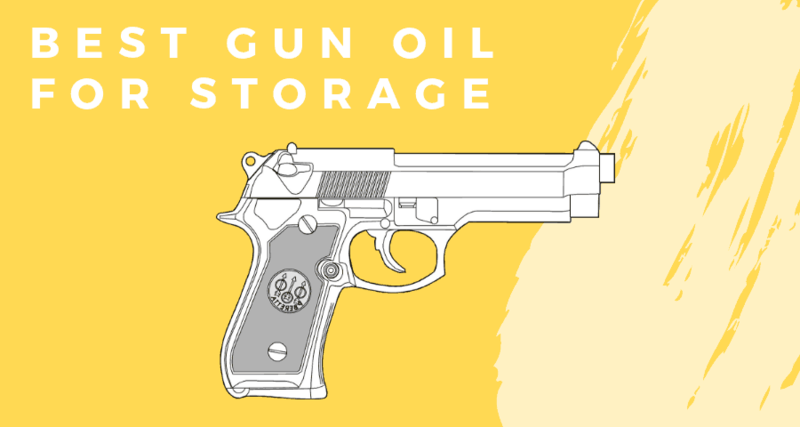 This gun oil consistently performs in storage solutions, and it’s frequently the top contender during rust and corrosion testing. These tests put gun protection products through the most rigorous conditions and EEZOX still manages to prevent corrosion. This is actually an all in one product that both cleans and protects, giving you a full solution to your gun storage needs whether long or short term. 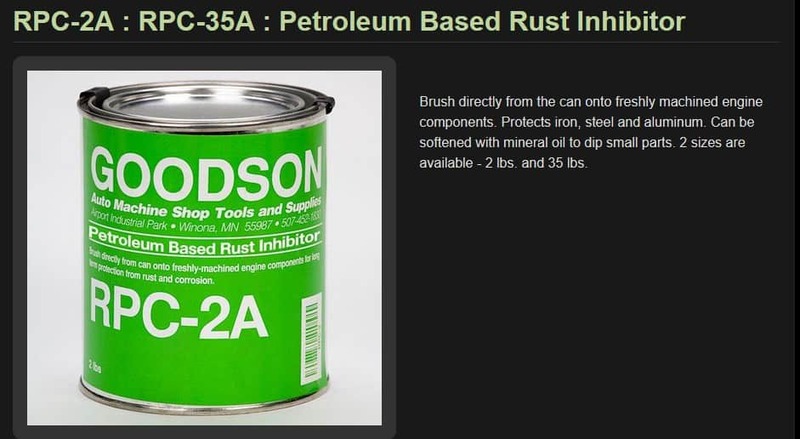 When using this product on your gun it’s best to apply it to bare metal. That means that you should completely de-grease it and remove any other existing products before applying the EEZOX. It’s actually such a great product that some gun owners use it on everything from their guns to their knives to their fishing reels to keep them in good working order and nicely lubricated. You can pick some up here. It’s a great all around gun oil that’s great for long term storage solutions, but it’s also good for guns you use regularly as well. Need to store guns really long term? Try a rust inhibitor. Need to store your guns safely for a really long time? The military is a fan of using a rust inhibitor grease like this product for that. While most gun oils are light sprays, this is a heavy duty grease that will last for practically forever to protect your guns from corrosion. The only problem of course is that it’s messy and it’s not really something you’d want to use on guns that you plan to use frequently. However, if you need to protect some guns for the long term which you won’t be needing immediate access to then this is a great option. No rust is every getting to your firearms with this stuff around. Once you’re ready to use them again though you’ll of course need to clean it off and use a regular gun oil meant for everyday usage. You can pick this up here. EWG lasts 5 times longer than comparable gun oils. While EWG does have an “oil”, you might want to look to their grease product for longer term storage solutions. This product actually stays wet five times longer than other lubricants. It’s also great at reducing friction and wear. Unlike the second product on our list, it can also be used on weapons you want access to on the regular. It’s also safe to use on wood, metal and even plastic parts so you don’t have to worry about it damaging any of your gun’s finishes. It’s an excellent product that can be used on a wide variety of different applications. There’s no smell like there is with similar products and its superior lubrication helps to reduce heat produced by your firearms during firing. You can learn more about it here. It’s pretty much the same as the EWL gun oil, just thicker. If you don’t already have a gun safe, then you should really consider getting one. Keeping your gun in a drawer or under your mattress is not a great storage solution. You’re just asking for the inner workings of the weapon to become contaminated with dust and whatever other gunk is laying around. A larger safe like this one is great for those who own rifles and have large collections of firearms to care for. However, if you only have one or two smaller self-defense handguns, then you could possibly get away with a smaller and cheaper storage solution like this one. How often you should clean your gun is often up for debate, but if your firearm was exposed to dirt, moisture or anything else during your session it’s a good idea to clean it. You should certainly clean it before long term storage. A good gun cleaning solvent makes sure to get any corrosive bits out of the nooks and crannies of your guns. Pick up one of our gun oil picks and make sure to work it over all of the important parts of your firearm. A good protective coating is key to keeping corrosion at bay, especially for long term storage. If you plan to store long term, then a silicone coated sock protector is a good way to keep your guns safe. The fabric does not hold moisture and it provides an extra barrier against corrosion. They also protect them from dust and dirt both during storage or transport. There’s tons of gun safes out there, but if you’re looking for a decent safe that won’t break the bank, then have a look at Kodiak’s products. They’re well made, hold a large number of guns, have pre-drilled holes for a dehumidifier and a heat activated door seal to keep out smoke in the event of a fire. A de-humidifier is a great investment to add to your gun safe. If you decide to go with the kodiak safe, then you can pair it with one of these for easy installation. This will make moisture in your gun safe history and it will protect your guns and ammunition from damage. However, if you don’t really want to use a de-humidifier, then you should at least throw some absorbency packets in there. They’re cheap and they’ll still do a decent job of pulling the moisture out of the air and away from your guns.